We live in a changing world. Rhetoric is increasingly socially conscientious, dialogues tilt towards making impact and beauty is diverse, all-inclusive and beyond skin deep. To title an event revolving round beauty as ‘Beyond Beautiful’ is quite clever, really. Frieha Altaf, when she came up with the idea for the event and decided to make it her passion project, certainly thought things through. She came up with a title that hinted at glamour but also what lay beyond it: fitness, nutrition, mental health, self-confidence and ambition, among them. But did the maiden outing of Beyond Beautiful live up to all that it was promising to be? Bolstered quite visibly by corporate sponsors, did it pack in a socially aware, game-changing punch? It tried. The schedule kicked off well with an awards gala night recognising individuals who have been instrumental in bringing about social change. Entertainment wasn’t much of a priority here, although Wahab Shah and Sohai Ali Abro did take to the stage with creative performances. Instead, the focus was on a very well-conceived list of winners; among them, Generation’s Khadija Rahman, Shehzad Roy, Sana Mir, Ayesha Chundrigar, Kami Sid, Adnan Sarwar and Asim Abbasi. 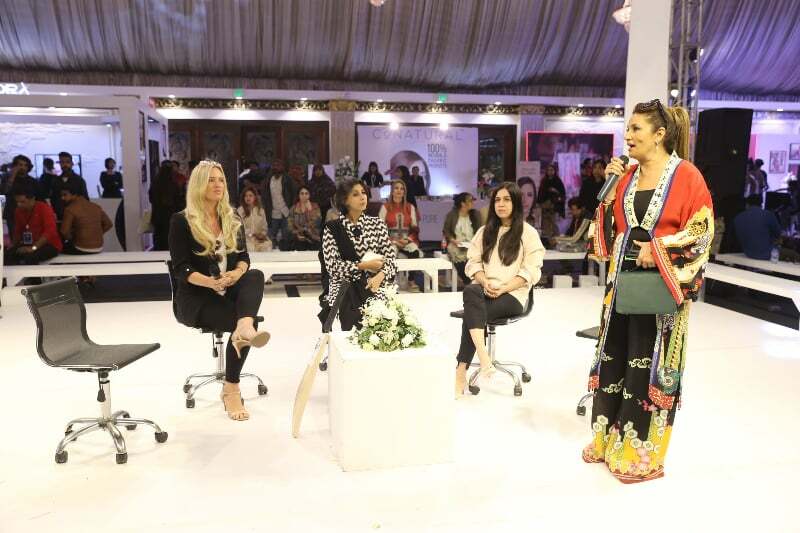 Following up was a two day event which included exercise shows, hair and make-up presentations, flash mobs, lectures, talks and master classes by renowned stylists. The shows took place on an illuminated platform, center stage in a ballroom within a reputed hotel, and thronged round it were kiosks of a small smattering of corporate brands and make-up heavyweights offering freebie massages, blow-dries, skin tests, goody bags and (naturally the least interesting of all) pamphlets. 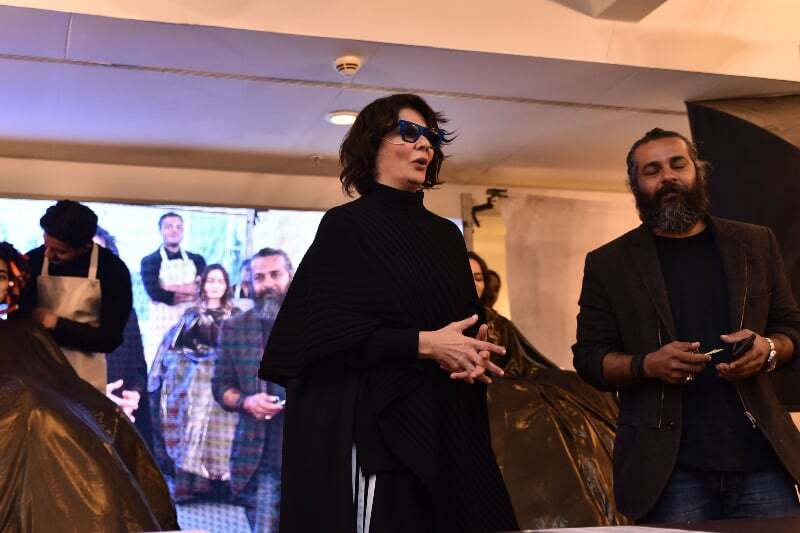 And Frieha Altaf, with decades of experience at helming some of local entertainment’s most prestigious events, made sure that things remained lively. 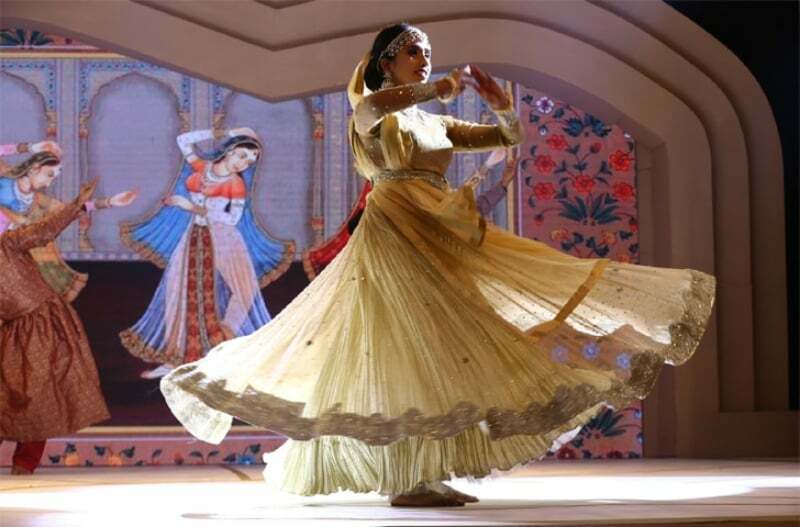 Between segments, Wahab Shah’s troupe of dancers would step in for flash mob performances. They would later move about the venue with forms, asking people if they would like to sign up for their dance and fitness regimes. 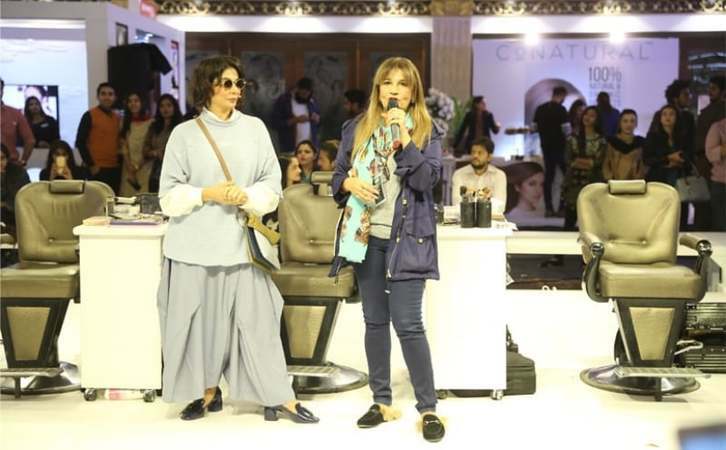 Drawing in crowds for the make-up and hair shows were two of the country’s most renowned stylists, Nabila and Saba Ansari of Sabs Salon. 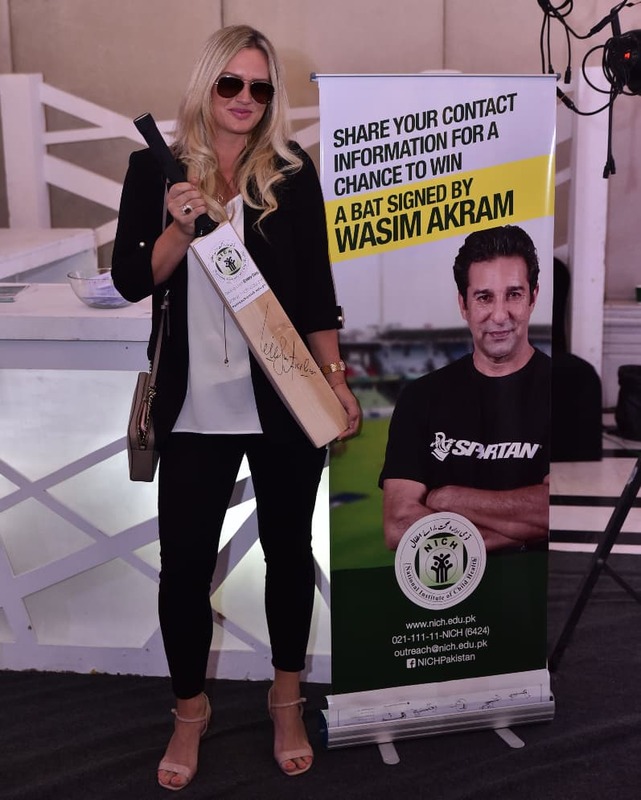 The talks that took place on the second day featured a handful of renowned celebrities: Mawra Hocane, Adnan Malik, Shaniera Akram and Ali Gul Pir among them. Also taking to the stage were the selected participants of a beauty hunt that was initiated by the brand a few weeks prior to the main event. This motley crew included a grandmother, young men who were fond of singing and dancing as well as aspiring models, quite a diverse group because, of course, this event was all about pitching the need for acceptance and recognising inner beauty rather than generic stereotypes. A bit of this and a bit of that and for a first effort, Beyond Beautiful was interesting. Having said this, one wishes more people had come to the event to witness precisely how interesting it was. 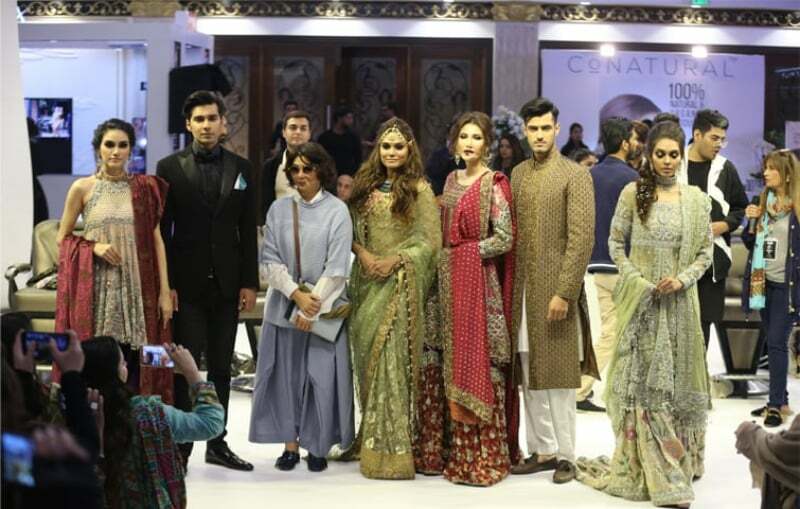 It was clearly evident that the footfall at the event was quite low. This could have been because of the unconventional choice of venue. The hotel’s ballroom was hardly as awami as a local auditorium or the Expo Centre. Then again, crowd control at the latter venues can be very difficult while within the well-guarded walls of a hotel it becomes so much easier. The attendance was also probably low because the three-day event wasn’t marketed rampantly. The crowds would have flocked in droves had Frieha announced the event more frequently on electronic and social media. What young girl wouldn’t want to see Nabila dictating the dos and don’ts of bridal styling in a show that was absolutely free? Who wouldn’t want to interact in a talk with known celebrities? Why wouldn’t the crowds rush in to take selfies with stars? The crowds just weren’t aware of this multi-faceted event taking place over the weekend and so, they didn’t attend. It’s a pity. The talks, for instance, touched upon potentially controversial, soul-baring topics such as the #MeToo movement, notions of modern-day masculinity and the impact of social media on modern-day perceptions of beauty. Mawra Hocane spoke about being trolled on the internet and a very vocal Ali Gul Pir spoke about how, had he been working in television or film, he would have been out of work because he unabashedly called out harassers. “I’m lucky that my work is centered around the internet,” he said. These were discussions that deserved to be recorded on mobile phones and made viral on the internet. Had there been more people to witness them, they could have truly made waves. But perhaps it’s too early to judge. This is merely a hesitant first step for Beyond Beautiful. Should it become an annual event, it could become a crowd-puller in the future. And one hopes that it then gains enough strength to haul in social change rather than just talk about it. One of the sponsors, the makers of a brand of fizzy beverage, invested into a girl from the Kashf Foundation to take part in Nabila’s master class so that she could learn more about styling. This step could be taken further —why not annually sponsor a batch of girls to take courses in styling so that they could become self-sufficient? Why just award Shehzad Roy for his work with the Zindagi Trust or Ayesha Chundrigar of the Ayesha Chundrigar Foundation, Dar-ul-Sukun or the Robin Hood Army? Instead of trophies, why not convince the corporate sponsors to allocate a certain amount to these charities? If they truly believe in thinking beyond beauty, they should try proving it with more than just a kiosk. As it gains strength and becomes bigger, one hopes that Beyond Beautiful manages to push forward this understanding. After all, we live in an era where fairness creams change their tagline from ‘become fair’ to ‘become beautiful’ just in order to be politically correct; where stars jump on to social bandwagons but never make much of an effort other than float out a Tweet every now and then. Beyond Beautiful, propelled by well-conceived ideas and the presence of some of the country’s most successful and talented personalities, can’t allow itself to be diminished by mere politically correct jargon.